Jinx is a young male caracal whose mother has been killed. Rescued by a farmer, he was bottle-fed for the first months of his life. As much as the team loves Jinx, the rooikat is becoming big and needs plenty of exercise and stimuli. It will soon be time for him to slowly be reintroduced into a fenced Nature Reserve where he will be able to live a “caracal life” and find a mate. 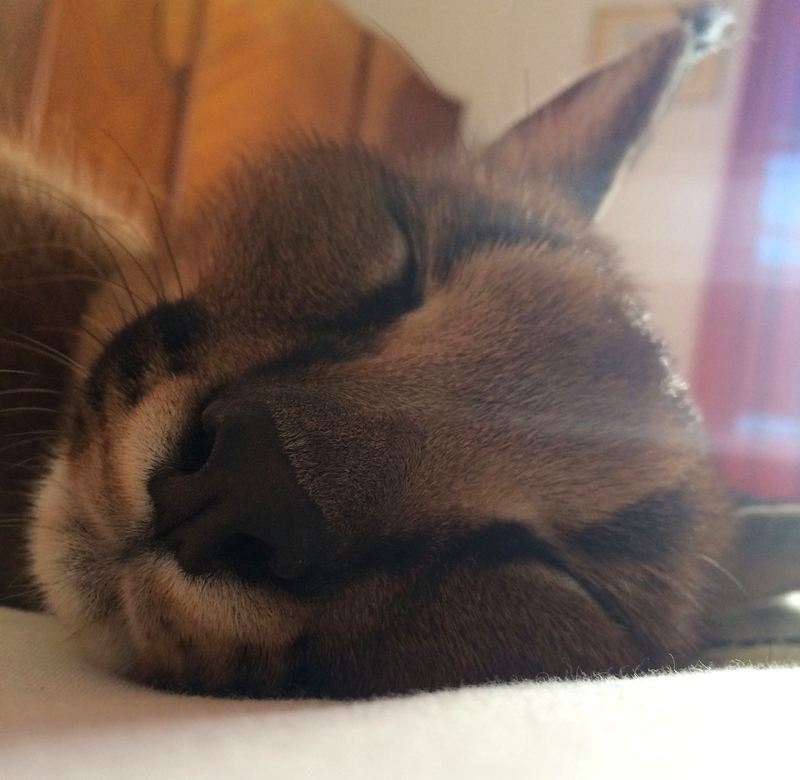 In the meantime, Jinx is stalking us as his prey, plays with the farm dogs, hunt birds and takes naps on our beds, but he does not like us working on our computers! 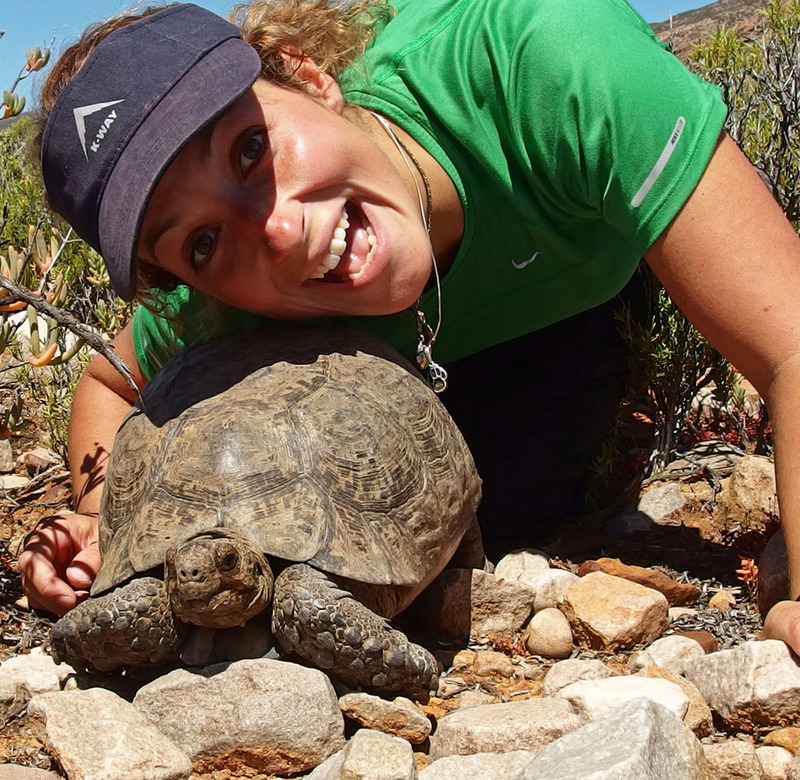 Marine is a French conservation scientist with a passion for wildlife, science and Africa. She graduated with an M.Sc. in Ecology and Conservation Biology from University Pierre et Marie Curie in Paris in 2009. Her thesis was conducted between France and Zimbabwe where she studied the ecophysiology of plains zebras and Przewalski horses. Since then, Marine has worked on predator projects on 4 continents. She returned to University in 2013 to pursue her Ph.D. in wildlife conservation and behavioral ecology in Cape Town, South Africa. Marine has a lifelong interest in conservation and wildlife ecology and is particularly interested in human-wildlife relationships. She thinks conflict between animals and people is the biggest challenge wildlife conservationists will have to face in the 21st century. She has always dreamed of a position that combines her passion for fieldwork in mountainous areas (with a lot of hiking!) with her passion for carnivores. The Karoo Predator Project offered her the perfect opportunity. As a Ph.D. candidate, Marine is conducting her work using an interdisciplinary toolset that combines field-based ecological sampling and social surveys to better understand predator ecology on farmlands. As Field Coordinator, she keeps the Project running in the field, interacts with landowners, leads the field team and conducts the field and lab work related to carnivores. She also manages the website – because communicating research findings with the general public and the different stakeholders is extremely important – and finds collaborators. Marine also publishes as a freelance writer on wildlife and conservation issues. Kai is only 21-year-old but he has, for the last 6 years, been embarking on some crazy adventures around the world. His most recent, The MY KAPE Expeditions, saw him set off by foot, sail, and basic land public transport to some of the highest peaks in Africa and South America while continuously promoting environmental and epilepsy awareness. Kape 2 Kenya (the first of the expeditions), which went on to win the Nightjar Adventure of 2013 Readers Choice, took him from Cape Town to the Summit of Mt. Kenya and back by “carbon-neutral” travel. En route, Kai and his partner worked with over 600 students in Zambia and Malawi on workshops which promoted sustainable appropriate technologies. Niel was born and raised on a farm in the Karoo. Nature has always been part of his life and he started showing a strong interest for everything wild at an early age. After studies in 1991, Niel started farming in the Karoo in the district of Loxton. His first encounter with black-backed jackals was in 1993 when three of his lambs were killed by this predator. At that time, jackals were very seldom seen in the Karoo and unknown by the farming community. Niel started showing a strong interest for the species and began observations on his farm. It rapidly became a passion of his to understand the canid’s behavior within the farming environment. In 2008, Niel was invited by the Endangered Wildlife Trust (EWT) to join a meeting about farmer-predator conflict. There, he was approached by the National Wool Growers Association (NWGA) to give courses to farmers and their employees regarding predator management. So far, he has trained more than 7000 people and given 200 talks all over South Africa. He is also a contributor for Farmers Weekly. Niel is currently in charge of a NWGA’s program consisting of 5 monitoring farms in each Province of South Africa where he observes the behavior of predators and helps farmers to lower their losses due to predators (from 34% to 4% after 5 years). 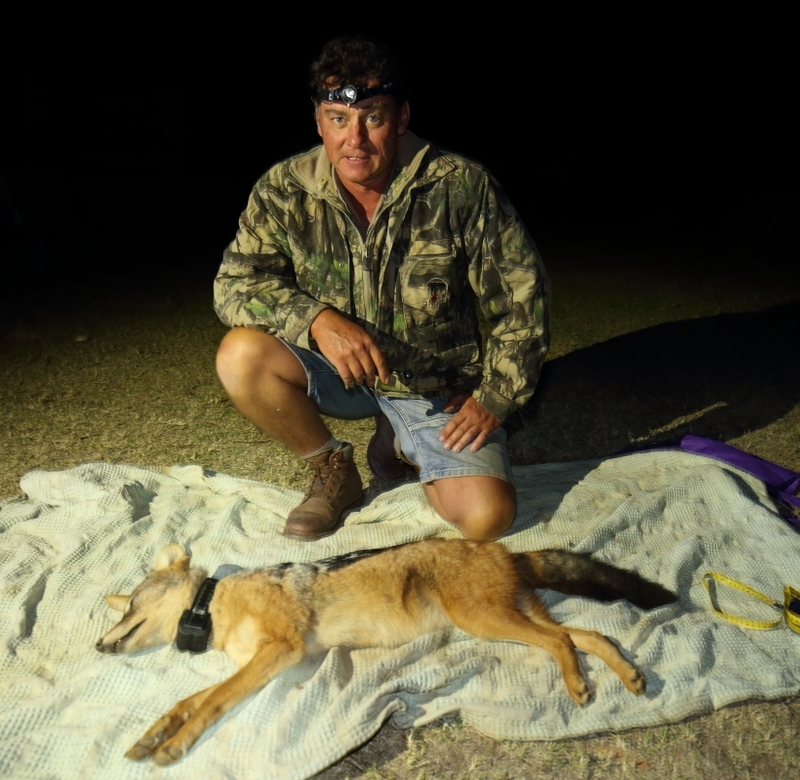 Niel is also a member of the Predator Management Forum (PMF) for whom he acts as an expert to assist in the responsible management of black-backed jackals and caracals. 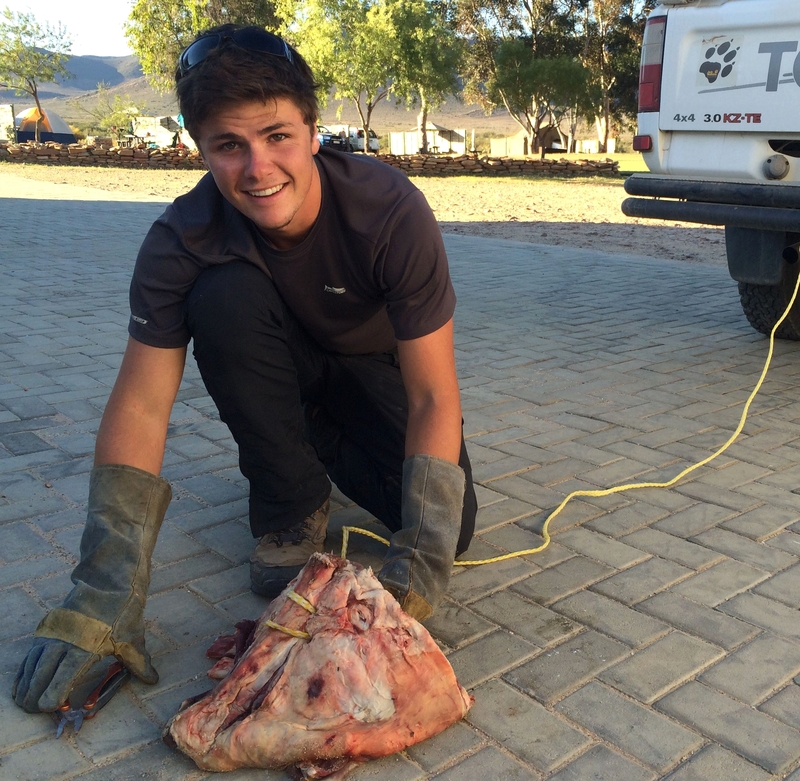 Niel joined the Karoo Predator Project as a trapper in an effort to collar jackals and caracals. 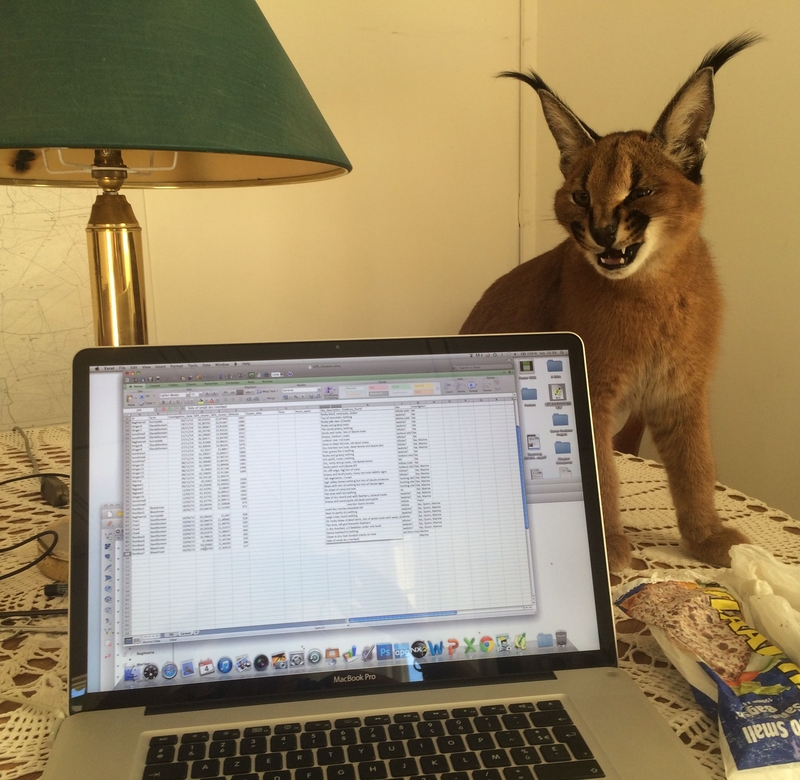 He sees the research as a valuable tool to understand predators’ ecology and the conflict. Marion is a French biologist with a background in agronomical sciences, who graduated with a Ph.D. from University of Lyon. 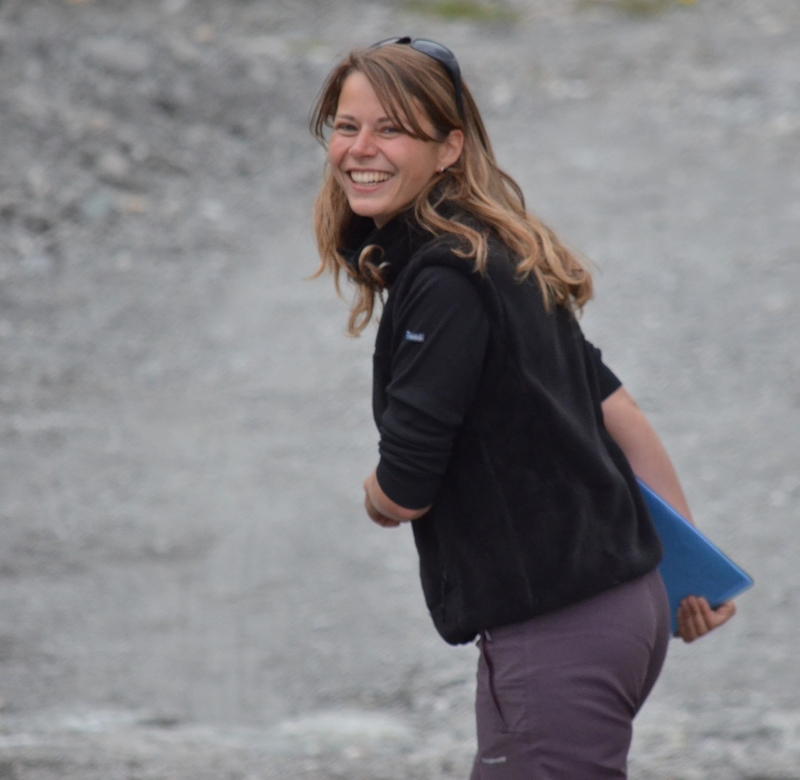 She investigated climate change impacts on alpine mammals and showed that even closely related species could have opposite responses to climate change. Passionate about wildlife ecology, she also became interested in human cultures and ecological knowledge after spending several months living with an indigenous community of Argentina during her M.Sc. She believes that involving local communities in the research process would greatly help our understanding and management of wildlife populations. Joining the Karoo Predator Project to investigate baboon ecology in a sheep farming area was thus the occasion to use her international experience of research and her diverse background to address human-wildlife conflicts with an interdisciplinary approach. Marion will be leading the Baboon component of the Karoo Predator Research in 2015. She will be working with farmers in the Central Karoo, analyzing baboon diet and their spatial ecology using GPS collars.